Here are a few useful tricks I've picked up from different books and websites over the years. I'm only listing techniques that can be utilized by pretty much anyone; and I would encourage you to study out for yourself the hundreds of different medicinal and edible plants and survival techniques that can be learned online for free if you want to become more advanced! Please feel free to add your own as well! -Boiling or leeching (soaking) acorns in water will release tannic acid, which is good for calming stomach cramps and quelling diarrhea. Do not drink too much, as it is toxic in large amounts.It is also a natural antiseptic! -Eating crab apples will help as well, because of the high content of pectin (the same stuff you use to make jelly set up). 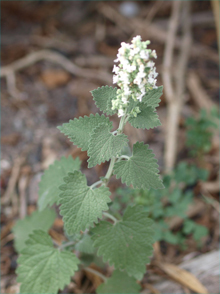 -Catnip tea will reduce fever that comes with sickness, and mint tea will help settle the stomach. Most people will easily recognize plants in the mint family. -Making tea out of pine needles will provide high levels of vitamin C. All pine needles are safe except for the yew tree, whose needles and seeds are extremely toxic (though the red flesh of the berries is not). -The sap of maple and birch trees is sweet and nutritious, and can be drunk straight out of the tree or boiled down (to pasteurize it) if you are going to keep it for a time. The amount and quality of sap in maples differs, and sugar maples are considered the best, but in a survival situation I doubt you'll be picky. -Chewing on willow twigs and swallowing the juices will relieve pain, as willow contains salicin, a compound similar to aspirin. -Chewing a couple plantain leaves and putting them on cuts, stings, and poison ivy will relieve the itch and pain and speed healing. -Put birch leaves in a bag, add cold water and then hot water and shake. It will start to foam and release natural saponins (ingredient in soap) and you can rinse your hair and body with it. Good luck! God does provide, if you learn and cooperate.